Why Choose Us? Experience, Quality, Skill, Character, and Integrity! You Are Here: Why Choose Us? What makes Sharp Refinishing different from all other refinishing companies? We are a husband-and-wife team business, and have been serving the refinishing needs of the Dallas Fort Worth metroplex for almost 40 years - since 1980! In fact, we are the oldest family owned-and-operated bathtub refinishing and chip repair company in the Dallas Fort Worth area. One of the things that makes us different from other refinishing companies is that we are not a franchise. Our last name - SHARP - is part of our company name, and we have a vested interest in our success. That's why we do refinishing right the first time, every time. You know the old saying: practice makes perfect. We refinish nearly every weekday, all year long, and have for almost 4 decades. 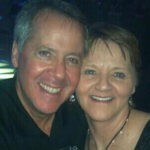 My husband Jim, and our associate David, are the only ones who do the refinishing. Work is never sub-contracted out to anyone else. I am Debbie, Jim's wife and the office manager, the one you will speak to when you call. 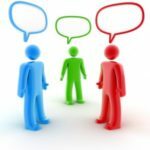 Other than this website, most of our business comes from personal referrals. We aren't the cheapest or the most expensive bathtub refinishing company out there, but we are the best in what we do. From the high quality refinishing products we have chosen to use, to the meticulous care we take with every single job, you will never be disappointed with our work. Just take a look at our long list of satisfied customers. Need more information? Click HERE to go directly to our FAQs section. 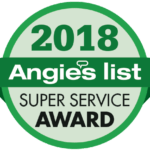 In addition to those testimonials, our highly-rated customer reviews at Angie's List have won us several of their prestigious Super Service Awards. As a matter of fact, we have won this award for 11 of the past 12 years. Do you know Him? You can. 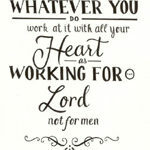 Click here to know why we work at our job with all our heart as if we're working for the Lord and not for man. It's important and drives our every decision in life.